Mote pHAT lets you run our beautiful Mote lights straight from your Pi or Pi Zero, for a super-compact setup. Connect up to 4 Mote light strips, with Pimoroni Mote cables, to the 4 channels provided and away you go! That's up to 64 pixels. 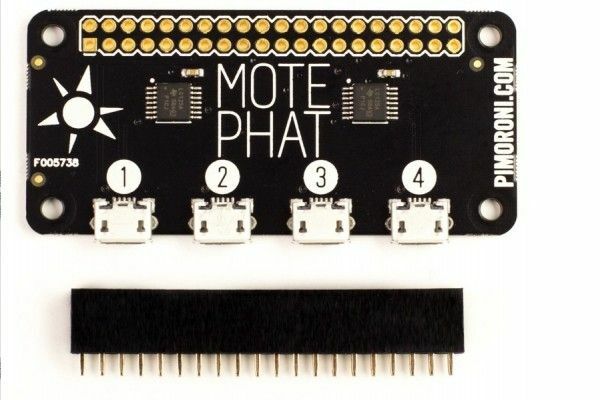 The female header comes un-soldered, so you can combine Mote pHAT with Pimoroni other pHATs to display sensor readings or control Mote with buttons or switches. 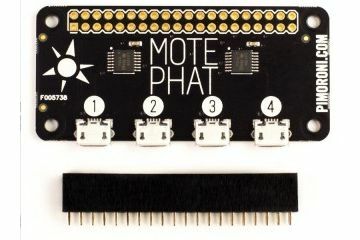 The MagPi said that "Mote pHAT offers a compact, discreet way of controlling them without the need to connect to the USB port of a laptop or Pi" and that it was "great value" in their four star review. 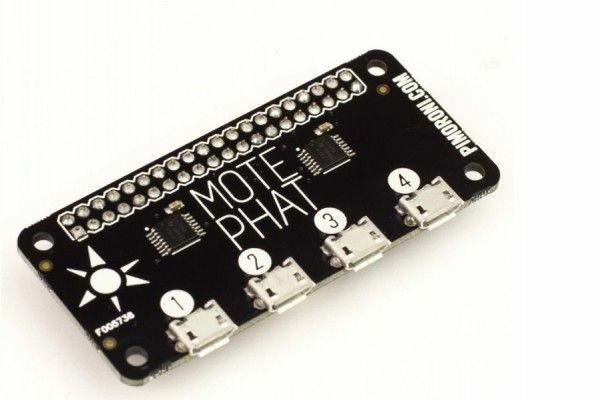 Pimoroni put together a Python library to make using Mote pHAT really simple, and ported many of the examples from our standalone Mote library especially for Mote pHAT.